How to write article fast without reducing the quality of the article? Building a blog is indeed a very pleasant job for those who like writing. However, sometimes we have to write articles quickly to produce more articles to increase income or meet the needs of more blogs. Writing several articles in a day can be an easy job when we know how. Writing is just a way to convey certain information to others. Yet it's one of the most complexed skills to be mastered. Basic information can be passed on easier verbally than written, just like any children learn to speak before they learn to write. Verbal communication is a method to connect to others instantly (there are several aspects that influence it), while a written document can be harder for receivers (i.e. readers) to digest. Article writers often experience problems in delivering quality information in the most comprehensive way. The problem is influenced by several factors. Collecting references must be done by every content writer. You must have enough information to produce an informative article. But the problem is, many writers spend too much time by collecting more than an adequate amount of information they need. It can be very hard to focus on gathering information while surfing the net; easily distracted by the overflowed information outside the topic you want to write about. 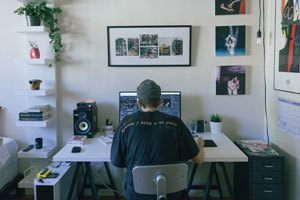 You don't have to have extraordinary writing skills, but you should have a sufficient level of technique to make your article easier for readers to understand. Written language is one-way communication, you need to make sure the information you're providing make sense to those who receive it. It is about grabbing the readers' heart with the right selection of diction. Grammatical errors and faulty diction can direct the reader to misinterpretation. A writer should be able to make short but meaningful sentences. Readers will not like repetitive, obscure or convoluted sentences. 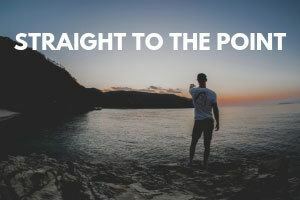 People generally prefer something straight to the points. Depending on your audience and a type of information you're providing, not everyone is a fan of sarcastic expressions or too many metaphors in one article. Writing in your own style is great, but you could consume a lot of time by trying too hard to add your own style. This relates to the information you have about a particular topic. The more information you have, the easier you are to make effective sentences. This is a classic problem faced by many writers. Many writers consider that they can finish their writing in a short time. So they procrastinate - choose to start writing only a few hours before the deadline. Obviously this is not an organized way. Deadlines will force you to think harder; the shorter the time you have, the worse the quality of your work. You might be able to meet the deadline but remember that a content must also have a good quality. Here are some tips that you can use to produce an article quickly but maintain a good quality. Firstly ask yourself how much you know about the subject. For example you 'think' you can write about pet toys because you have a dog. But how much do you really know about them? Your dog might like to play with particular types of squeaky balls, but how about other dogs? If you need to spend some time researching, obviously it will cause a delay. A content writer is often faced with work that is beyond their ability. This means that they have to write something completely new or not mastered at all. In this case, you have the right to choose what topics you want to write and in what depth. Without a doubt, the list will make your writing more systematic so that you can write faster. This will also make it easier for you to find the information or references you need. By having a template, you will not spend too much time looking at random information. Just because you can't find the perfect word in the middle of sentence, if you keep checking Thesaurus, you'll never be able to finish your work in time. If you're not happy with the words you're using, just mark the area by highlighting it, let it sleep on it and keep going. You will have to read it back anyway. Write as much as you can first, then go back and edit anywhere applicable. Any article starts with an introduction, then there's a main body and the closing summary. But you know there's no rule that says you have to right from top to bottom. You've got the outline set out. Then you can go straight to the main body and start with the section you feel most comfortable. Don't forget to put the title at the top of each section, so that you can organize it easily later on. But again the title (sub-heading) doesn't have to be perfect, you can change it later. You can start writing from the closing summary if you know what to say to conclude the article. The last thing you want is to get stuck at the line one, just because you can't decide how to begin the whole article! When you have other things scheduled - meeting your friends in an hour, feeding your kids soon, etc, obviously your mind's distracted. If you live with your family, you want to find a time of your own with no noise interruption such as TV. Even if you're alone at the most quiet time of day, there's no point if you're tempted to check your social media messages every now and again. 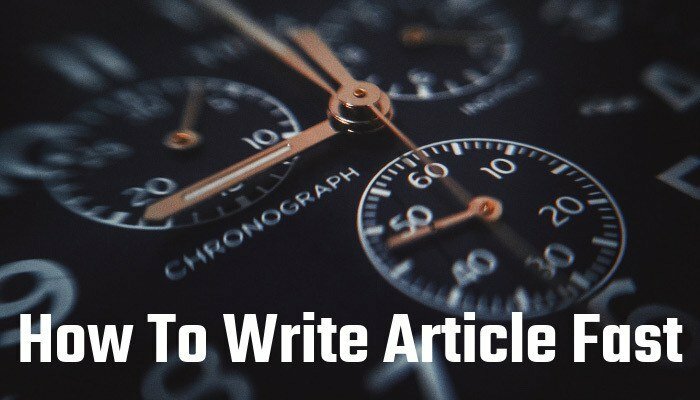 These tips are the basic tips on how to write article fast that can help you to produce something good in a short time.